Your Pre-Workout Supplement may be hurting you, but luckily there’s a solution! Touching on Part 1 of this article (which you can find HERE), there are a couple major issues that arise from pre-workout supplementation. More so, the KIND of supplements people are taking and HOW LONG they are taking them for. To give a brief overview, using stimulants and/or other popular pre-workout ingredients such as arginine, or beta-alanine can only be sustained for a limited period of time. The adrenal glands and other systems have to process these ingredients and often your receptors are overloaded and overworked. Pre-workout supplementation I believe is ABSOLUTELY ideal for maximal work capacity and focus for intense workouts, however as many of you know, doing things RIGHT is great, but doing things OPTIMAL is better! So I have a solution for you, are you ready? The answer to the myths and often “unnoticed” problems of pre-workout supplementation that I mentioned in the last article can be given in one simple phrase: Cycle your ingredients for maximal absorption, usage and uptake. Below, I am going to break down 3 major periods for cycling your pre-workout ingredients. Again, this does not have to be followed to the “T”, however my personal experience shows it to work quite well. 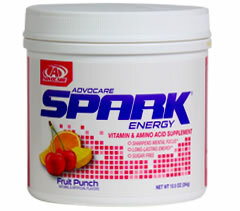 There are TWO MAJOR things we want from our pre-workout supplementation: Increased energy, and increased blood flow. Let’s tackle those separately. The most popular ingredient found in almost every single pre-workout mix you’ll find is caffeine. The studies and years of proof do not lie: caffeine works. Through supplementation, this ingredient has the ability to constrict your blood vessels, increase your drive, stimulate heart rate and increase your metabolic processes for higher energy levels. The second biggest goal of your pre-workout cocktail is to provide insane pumps! Ingredients such as arginine stimulate the production of Nitric Oxide, expanding the blood vessels and allowing maximal blood flow to the working muscles and sustained nutrient and oxygen uptake. Did you catch the problem? If you walk into any supplement store here in the U.S., over 95% of the pre-workout products you’ll find will contain BOTH of these. The major problem we have here is that caffeine or other stimulants tell the body to constrict your blood vessels to increase energy, and vaso-dialators such as arginine are giving the EXACT opposite signal! What the heck bro…I’m being played! As mentioned above, the answer is through cycling these ingredients so that the benefit of BOTH is felt over time and the body is allowed to regulate each independently. If you pay close attention above, you’ll notice the 3 week cycles you’ll be switching between higher stimulants and supplements intended for greater pumps and blood flow. I included also a product list of the most proven and scientifically-backed supplements on the market today. Remember the lawsuit from Muscle Pharm I touched on in the previous article? Well, with all of these products you can have 100% assurance brought to you by a third party testing company called Informed Choice. This company tests all of these products for over 140 different impurities and other banned substances. So long story short, the things that are listed in the ingredients of each product are ACTUALLY in the container! 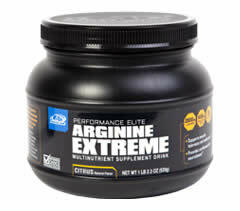 Arginine Extreme combines a substantial amount of L-arginine with other amino acids, B-vitamins and related nutrients scientifically designed to contribute to the body’s production of nitric oxide and muscle support. 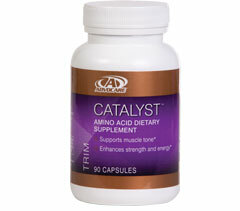 * This unique combination of powerful nutrients nourishes the growth of lean muscle tissue in conjunction with an exercise program and provides targeted nutritional support for the vascular, cardiovascular, reproductive and immune systems. * For athletes and exercisers, great-tasting Arginine Extreme is a premier pre-workout supplement that can help magnify the results of strength training by providing nutrient-delivery support directly to the muscles. * With 2 1/2 grams of L-arginine per serving, plus L-leucine, another important amino acid, you can get better endurance in the weight room and improved stamina during cardio workouts. 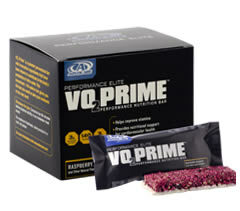 VO2 Prime™ is a premier pre-workout bar with innovative ingredients that have been shown to contribute to the body’s production of nitric oxide. This convenient, 140-calorie bar gives you the fuel you need to take your workouts to the next level. If you enjoyed this article or even had specific questions on the products or content I’ve shared, please leave a comment below in the space provided and let’s chat! I’m always here to lend a hand and get you started on the right foot. Take care and God bless! Full reference from product descriptions above are owned and located at MindsetElite.com.